A young married couple video record their dark desire of killing a human being and keeping the recordings for posterity. The female of the couple starts off the chat as a sick innocent joke about killing someone, but it soon transpires to her husband that she is very serious when she drowns a neighbour's cat in their kitchen sink. He realises later that she is even more serious about killing a human being when she brings a homeless man in the home to spend the evening. What the homeless man thinks is an act of kindness will soon become a night he won't walk away from. After the couple dispatch of the homeless man and bury his body the emotional dynamics between the couple changes. The wife, happy about what they have managed to do and the husband disgusted by their actions. One thing is for sure, the husband will not kill again but what if he has no other choice? 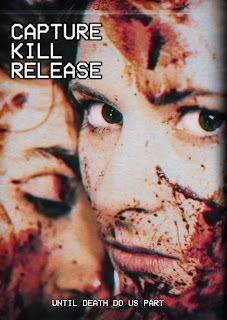 Due mostly to the onscreen chemistry between Jennifer Fraser and Farhang Ghajar as the couple with evil doings on their minds, CAPTURE KILL RELEASE breathes new life into the stale format that found footage has come. Nothing seems out of place here, its almost as if you are watching an actual killing happening. It has moments of gore which gore-hounds will be happy to see but there is also a dark comedic side to the film which mostly comes from Jennifer. 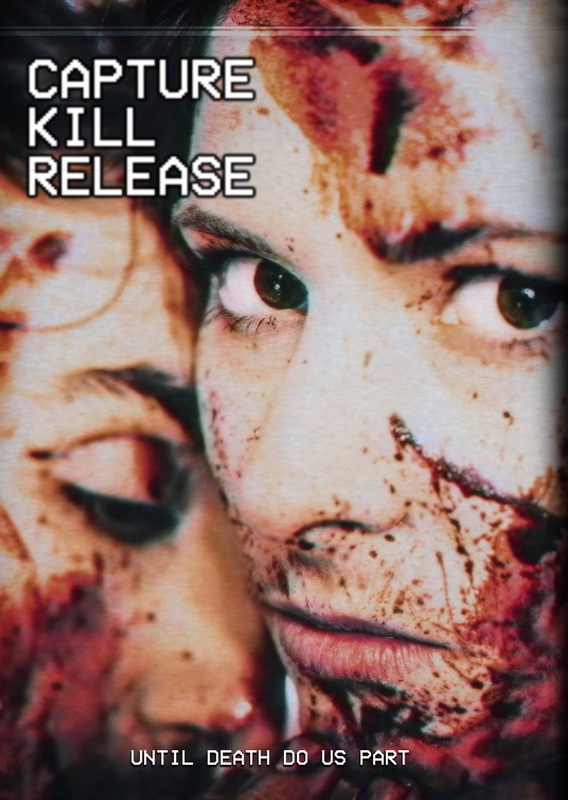 This cleverly written found footage film will keep you hooked right from the beginning to its bloody finale. DVD Available on Amazon MOD and Family Video Stores 7th March 2017. Also available on VOD at: Amazon, Itunes, Google Play, Vimeo, Xbox, Flix Fling, Vudu, Youtube, and Cable VOD.